In short, no. Although content can seem like a PR maneuver, at the heart of its intended purpose it’s not PR. The Content Marketing Institute repeats this sentiment shouting “NOOOOOO!” down the street in town crier fashion and proceeds to list why approaching content marketing like it’s public relations is a recipe for disaster. But rather than delving into why treating content like PR is a bad idea, let’s examine what both of these concepts are and why they are not one in the same. What is Content Marketing? What is PR? To get down to brass tacks, accomplishing the above objective can be with all types of assets like videos, blog posts, whitepapers, images to use on social media, and so much more. The cornerstones of content are that people engage with and share you content because it is helpful, interesting, entertaining, or timely. Content can be one of these things or a combination of them. While the underlying intent in having content created can be to raise awareness of your brand and help sell a product or service, it also serves to solve problems and start conversations. That’s certainly a more vague definition than what content marketing is. But a publicist has a totally different role than a marketer, in that while both need to help their clients reach their desired audiences in positive ways, content still serves to create profit and influence behavior. Public relations encompasses increasing visibility, damage control, cultivating an image, and other important aspects of getting spotlight from earned and paid media and your own public base. But the chief difference is that content needs more than views, it needs to drive action. Can Content Marketing and PR Have a Harmonious Relationship? Something that the two have in common is that they are not actually advertising and both work separately of each other to improve your overall image and positioning. After all, if you have amateur-looking graphics and bad writing on your site, it can be just as bad for your site as an angry customer making a bad interaction with your brand public on social media but in a different way. 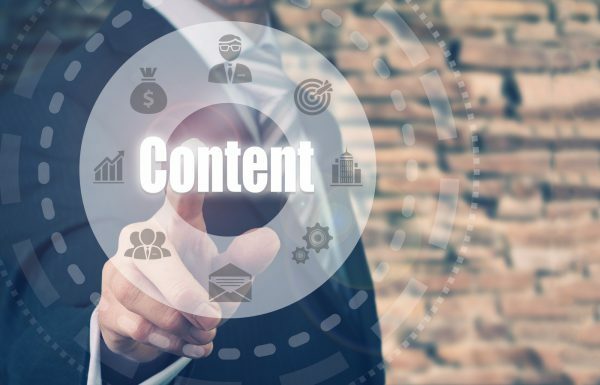 Content has more permanence to it and chance for growth and evolution while PR is more flash in the pan and real-time in conjunction with longer-term strategy and monitoring. The two concepts can help each other out. But your content marketing efforts are not PR. It’s like how shampoo and conditioner are meant to be separate, not put in the same bottle despite what you were told in the late 80s. So let’s say that you run a restaurant franchise and a customer with a significant amount of Twitter followers describes a horrible experience and demands something be done. Social media is the best example of an area where content marketing and PR overlap. This is because your brand could essentially live and die by having quality social content, and it’s also test of your team’s PR skills as it’s very public-facing and there’s a stronger chance more people will tag your account for complaints rather than compliments. Just because one team member makes aesthetically-pleasing and poignant social posts that get lots of clicks and drive traffic to your site doesn’t mean they’ll do a great job handling potential fallout if that tweet goes viral. It could wind up on news sites and other places far beyond social media, the publicist helps you maintain public trust while you can put out content that shows what you learned from this incident. Content still serves to drive specific actions and fulfill certain purposes, while PR communications are intended to build and maintain trust and good image. Content isn’t PR and the two aren’t super closely related, but they can harmonize when it comes to image and public perception. Rachel P is a 4-star content strategist (Strategist Account #541) available to help you with keyword maps, customer journey maps, and buyer personas in addition to writing for you! She’s also an indie game developer, writer, and consultant. If you would to like to hire Rachel to devise a content strategy for you, please contact your account manager or send a direct message.